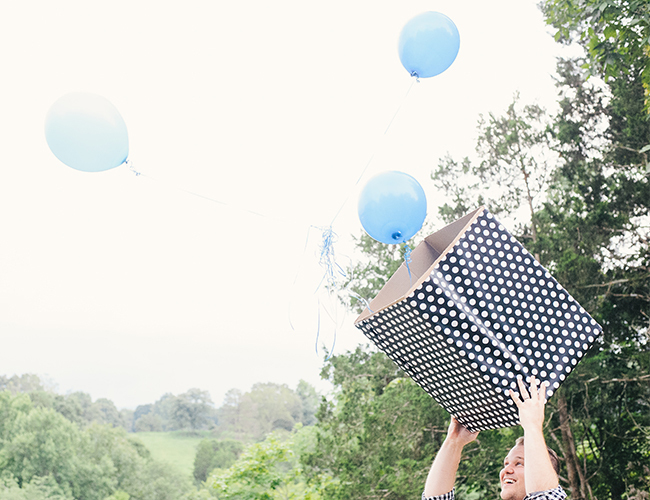 We’re always up for a new gender reveal idea on our baby blog! This one is beyond cute with giant balloons and a fun giraffe theme. 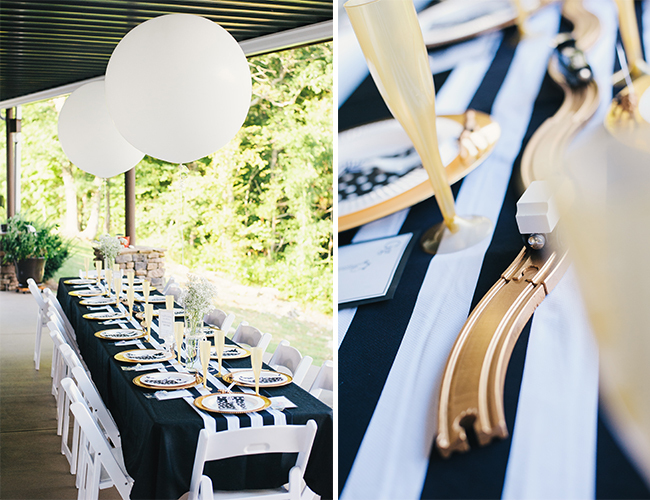 They had the cutest little train tracks running down the middle of the table with polka dots and gold details galore! 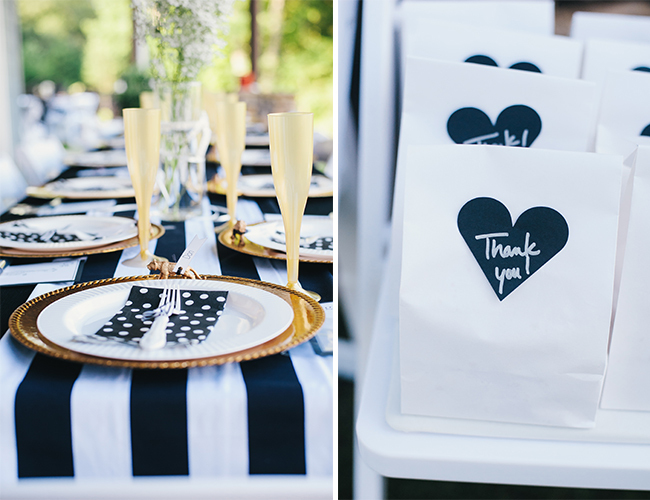 We know you’re going to love everything about this party as much as we do! 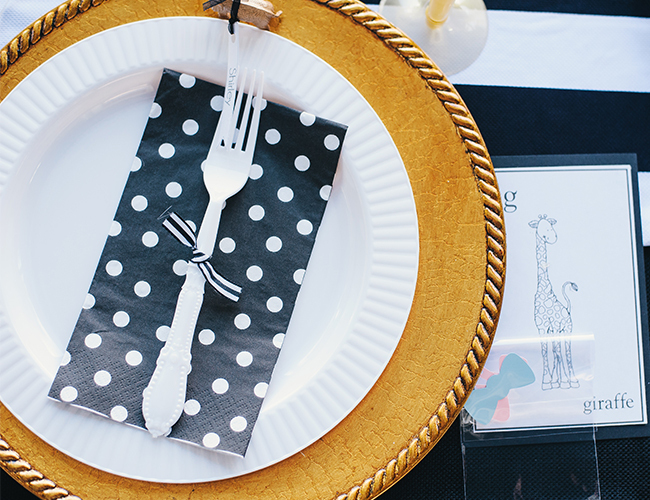 The idea for this celebration all started with a little golden giraffe. 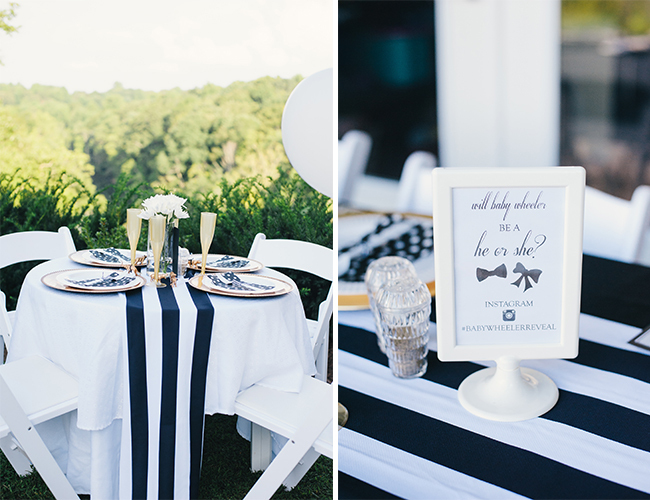 We wanted something outdoors with a classic twist, which is why we those to use black and white with a little bit of gold. The event was hosted at my husband’s house on Rocky River in Rock Island, Tennessee. 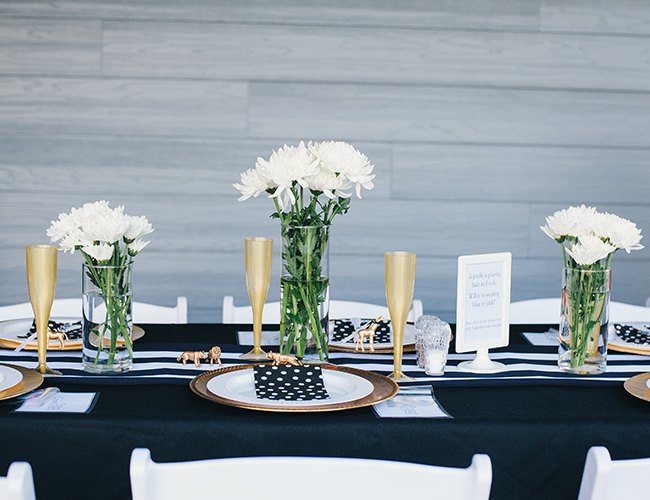 We wanted host an event where we could celebrate with our close family and friends. Our 30 closest family and friends joined us for the celebration wearing blue or pink for their pick for a baby boy or girl. With the gender reveal we wanted to do something a little different than just a box with balloons. We decided to continue with the giraffe theme and tied a little blue bow around the giraffe’s neck. 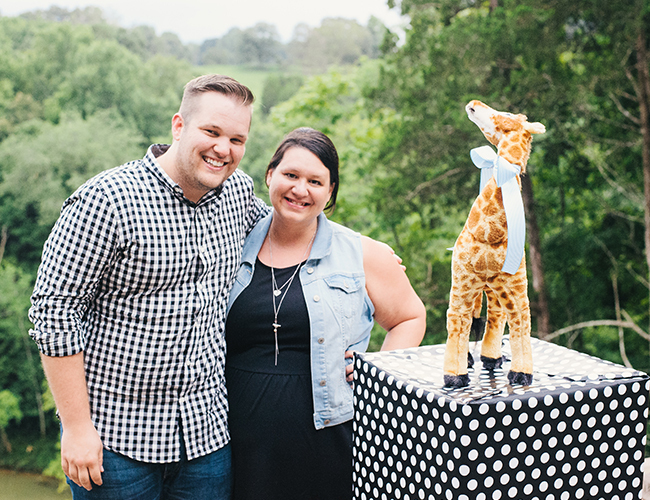 Once we were ready the reveal the gender, we lifted the box and revealed the giraffe with the ribbon along with some blue colored balloons. After the reveal, we popped some champagne and enjoyed some delicious cake. 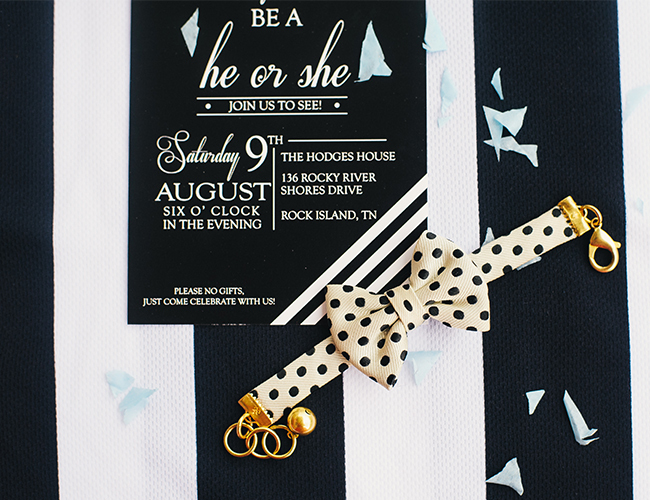 We could not have asked for a better way to reveal Baby Wheeler’s gender. So classy and cute!! How exciting for the couple! What a fun way to celebrate, right?! 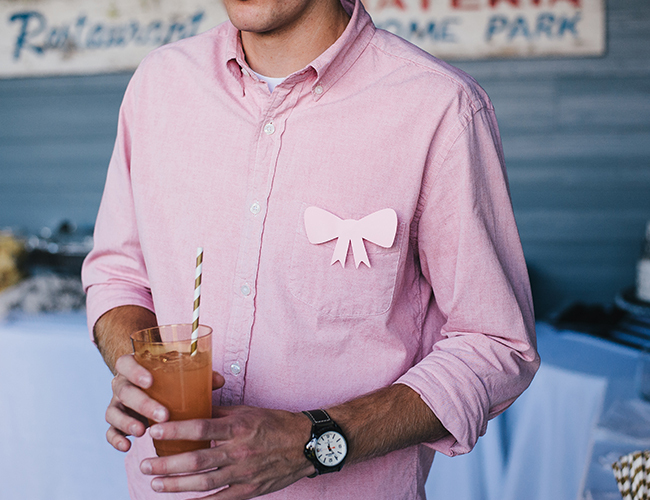 This is beyond cute and classy!! Love it! Love the color palette and theme! So cute! omg, i’m stealing all of these ideas for my party! 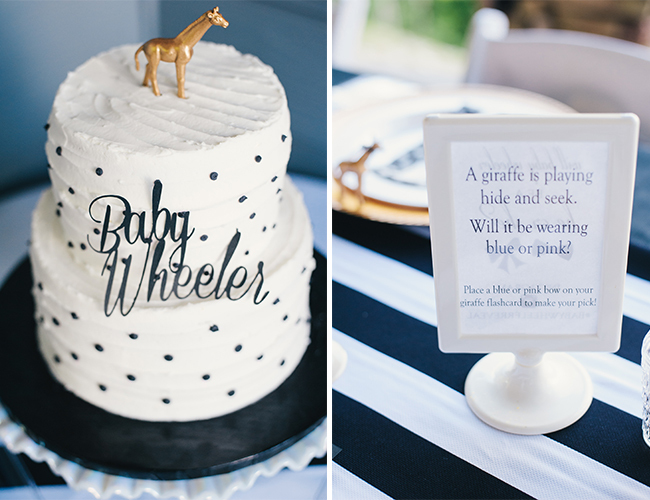 the polka dot cake is my fave detail! How cute! Congrats to the Wheelers! Gender Reveal Parties are so fun. All the details are stunning! So exciting too! Thanks for reading! 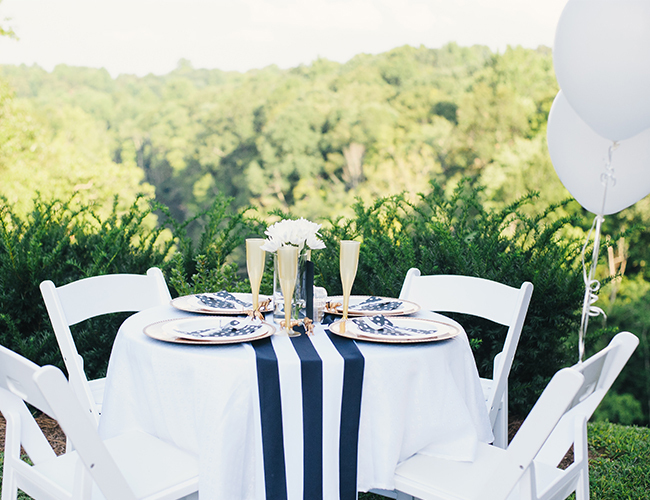 Would you mind sharing where the navy and white dot guest towels came from? This is so presh! 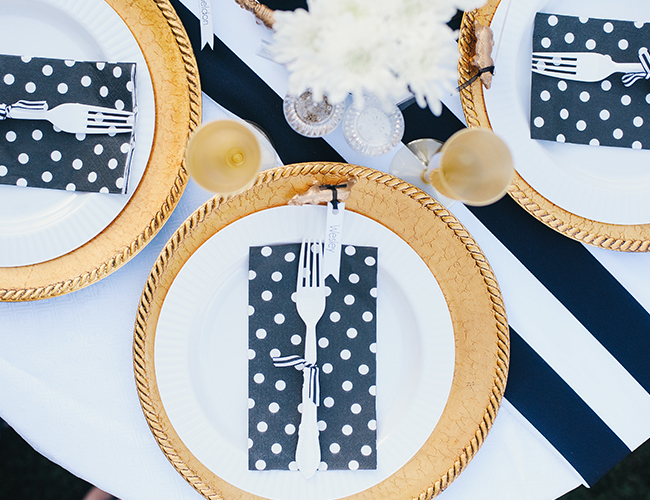 The polka dots give it such a whimsical feel, while the color palette is ultra-chic.